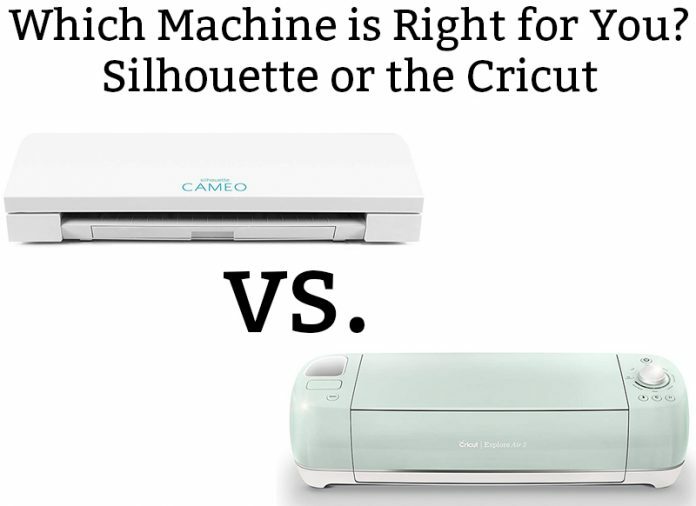 Silhouette vs. Cricut - Which Craft Cutting Machine is Right for You? 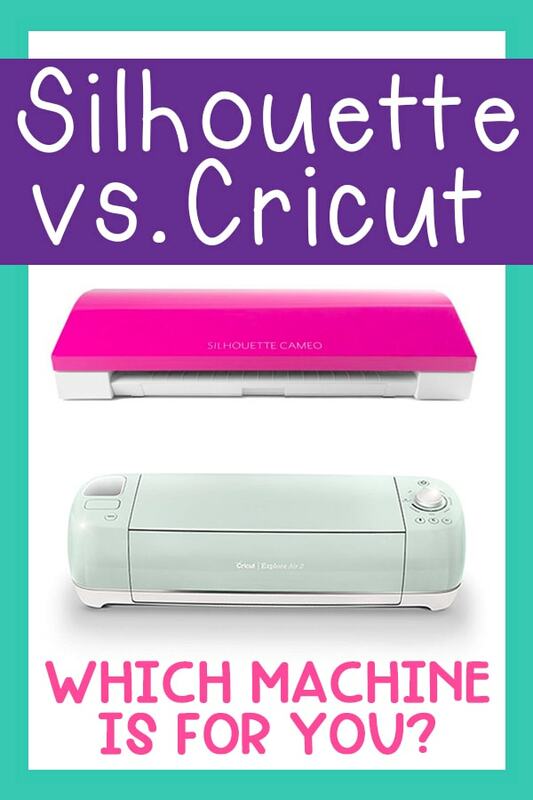 Home Home Life Crafts Silhouette vs. Cricut – Which Craft Cutting Machine is Right for You? Silhouette vs. Cricut – Which Craft Cutting Machine is Right for You? In the battle Silhouette vs. Cricut, which crafting machine reigns supreme? This is a question that readers often ask me – they want to know what made me decide to go with a Silhouette over a Cricut. When I decided to purchase a craft cutting machine, I spent many hours researching my options. I quickly found that the Silhouette vs. Cricut battle is no different than the PC vs. Mac fight. People tend to have their favorite platform and they will defend their brand until the end of time. Although, I fully admit that I am a former PC-only girl who purchased a Mac and never looked back. I often wonder if I were to purchase a Cricut, would my love still lie with my Silhouette? Maybe? But maybe not. That’s because, in the world of crafting machines, there is no bad choice. Yep, you read that right. In my opinion, there is not a machine that reigns supreme. They’re all awesome. Instead, I feel that they both have pros and cons. Whether or not the pros outweigh the cons is a matter of personal preference. Everyone’s machine needs are different so what may work for one person may not work for another. At the end of this post, I’ll explain what swayed me over to Silhouette’s dark side. This is not a sponsored post by Silhouette or Cricut. These are completely my own opinions; they are not swayed by either brand. I do, however, have affiliate links to both products on Amazon so you can easily find them. For my post’s purpose, I am going to compare the Silhouette Cameo 3 and the Cricut Explore Air 2 and the Cricut Maker. The software for the Silhouette is free but to access certain options, you must upgrade to designer or business edition. The additional money is well worth the added features but it stinks that it’s not standard in the free program. Silhouette Studio is often reported to be difficult to learn to use. My experience has been great with learning the software – I find it easy to use and its design capabilities far surpass the Cricut 3. You can import an image, create a cut file, and then share it with others. You can really share any file you create with other Silhouette users (except editable fonts that the other user doesn’t have on their machine. But that is standard with all programs). If you are familiar with any of the Adobe products, the learning curve for the software will not be large. If you aren’t as familiar with design programs, the program may take a little extra practice (youtube videos are abundant and super helpful). When sharing files using Design Space, you can’t share any files that have an image embedded in them. While many beginning users find the Software easier to use, as an advanced user, I actually had a huge learning curve in learning the software. I found that its capabilities were seriously lacking which means I had to design my SVG files in Illustrator and then move them over to Design Space (it’s not a big deal, but it is one more step). So what made me choose the Silhouette in the Battle of Silhouette vs. Cricut? One thing and one only thing swayed my decision: the requirement of being connected to the internet to cut. While for many people this isn’t an issue, at the time I purchased my first Silhouette machine (the Portrait), we had spotty internet service. It was common for me to lose internet for long periods of time which would mean I wouldn’t be able to cut on my machine. And I kept thinking, what would happen if I was in the middle of a cut project and the internet went out? Plus, I wanted the ability to take my machine anywhere to cut (friend’s houses, vacation, or even to craft shows possibly in the future). Portrait vs. the Cameo 3? If you’re going to get a Silhouette, let me just urge you to save a little longer and purchase the Cameo 3. I purchased the Portrait instead of the Cameo 2 and I regretted it immediately. 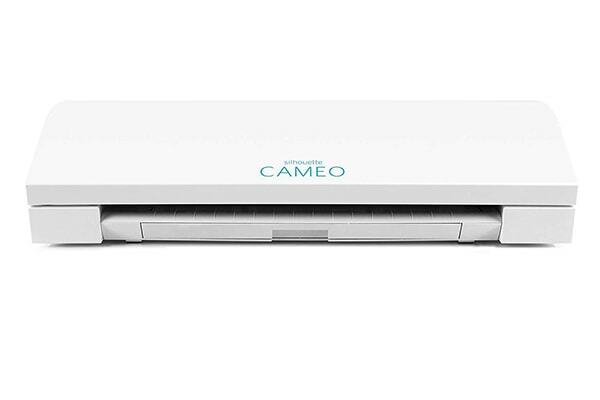 It’s a great small machine but the larger Cameo 3 is definitely the better option (especially with all of its updates from the Cameo 2). 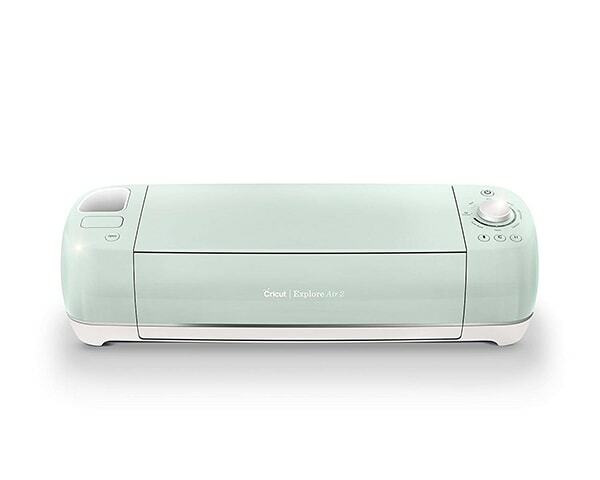 Would I purchase the Cricut Explore Air 2 or Cricut Maker? You betcha. If I had some extra funds, I would totally purchase a Cricut Maker to use along with my Silhouette. In a world where people are so set on their brand, I have no issue using both brands. It just isn’t in my budget right now to own both (and I would definitely want to purchase the Maker over the Explore Air 2 which is more expensive). In the battle of Silhouette vs. Cricut, which did you purchase and why? Comment below and tell me which cutting machine you purchased and why. It would be super helpful for others to hear which machine you selected and why. Looking to purchase one of the machines? Click your desired machine below. I purchased a Cricut Explore Air 2, and I do love it! But, like you said, every machine has its pros and cons. I have cut designs in vinyl on my Cricut that are only ¼” x 1” long, and my machine cut it beautifully and accurately every single time. 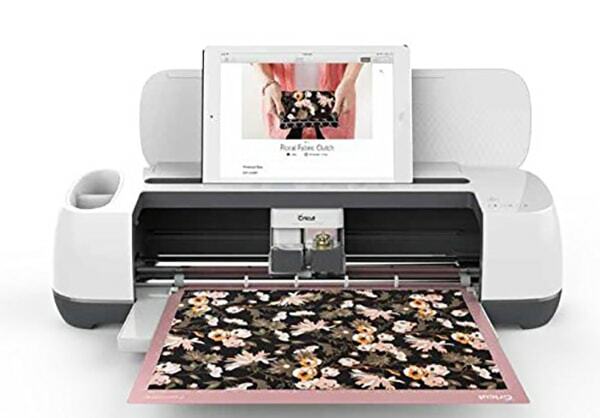 However, Design Space (the Cricut online software platform), is very limited. As someone with a background in desktop publishing, it can be very frustrating. I have also recently noticed, a huge downside for those that like to Print then Cut their own stickers. Crafters I know who have a Silhouette can create standard 8.5” x 11” sticker sheets. In Cricut, you can only do about ½ that size. So, whenever I find amazing DIY print then cut sticker sheet designs, despite having a Cricut, I almost always end up cutting them by hand and then using my Xyron. I must say, it can be a huge hassle! However, being able to cut so many different materials is pretty amazing. I haven’t found any machine so versatile in material types. Thanks so much for sharing your experience with your Cricut. It’s so helpful to know that you have to cut smaller sheets. I think if someone is looking to mostly make planner stickers that would be important to know. 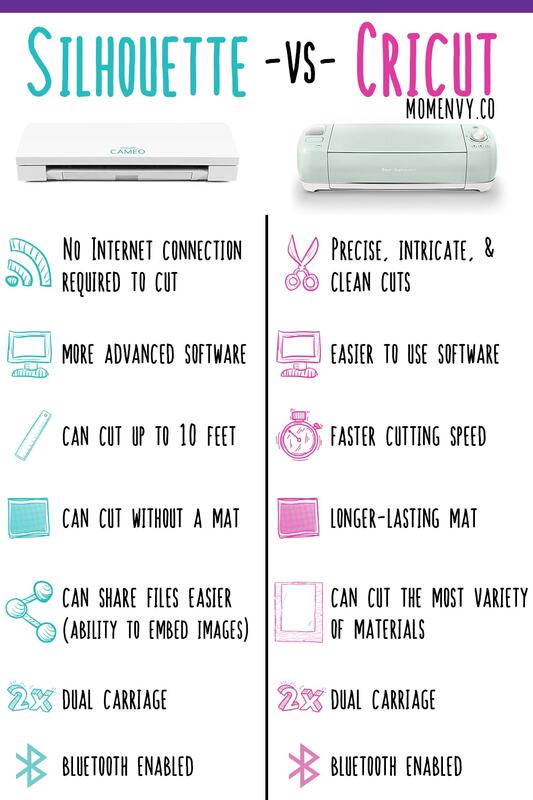 I think many of us would love to have both machines or to be able to combine the best-ofs of both 🙂 I really do wish the Silhouette could cut all of the different materials that the Cricut cuts! And to be able to cut things so smoothly and accurately would be amazing.